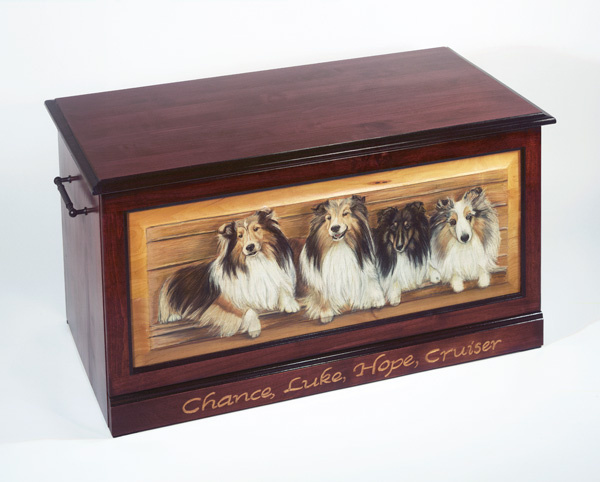 These storage benches are custom made by a master craftsmen. Depending on choice of woods and size prices will vary . Please send me an email to let me know your wishes and I can work up a price for you. 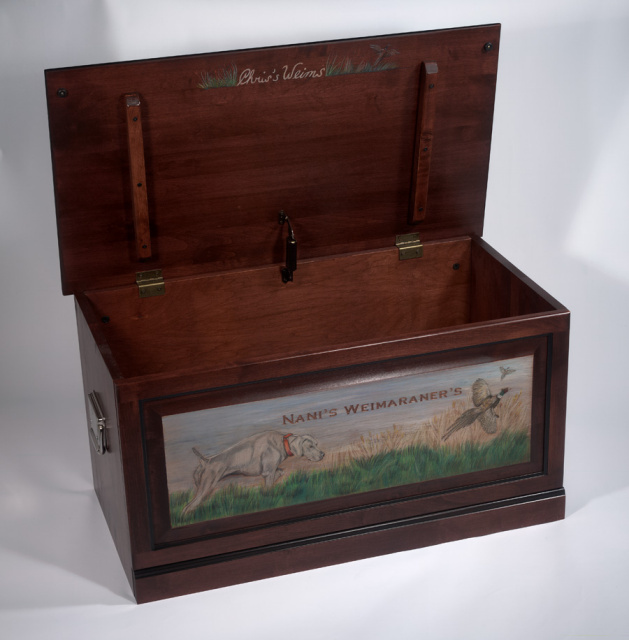 The starting price is $885.00 that would be the chest with one subject on the front panel. A beautiful accent to any home. Storage for blankets, sweater,or any treasured item in your home. The Hamilton Chest Made of Solid Alder and Birch Hardwoods with a cedar bottom interior panel. 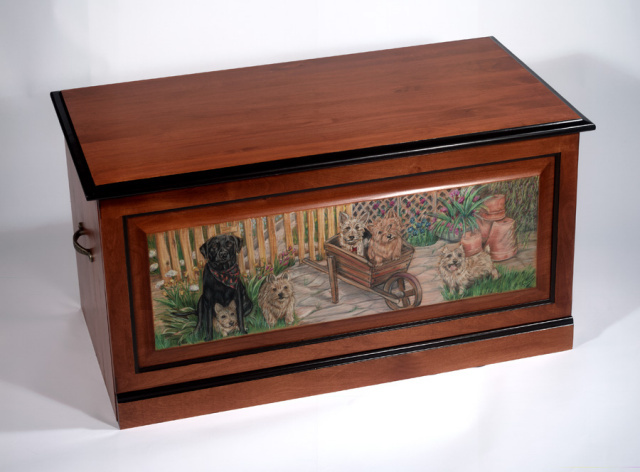 Top lid was hand carved and portraits on front panels. This versatile Northwoods Solid Pine Storage Bench serves two purposes, storage and seating. Great for entryways or use as a window seat. Includes safety lid support and features attractrive beadboard styling. Crafted from Solid Pine. Storage Dimensions: 39-3/4" Wide x 14" Deep x 10-3/4" High. Choose you stain to match your home decor. Let me create a custome work of art from your favorite photo or one that I choose for you. Great for storage in a hallway or mud room. This also is a great piece for a growing child .From toy box to storage. 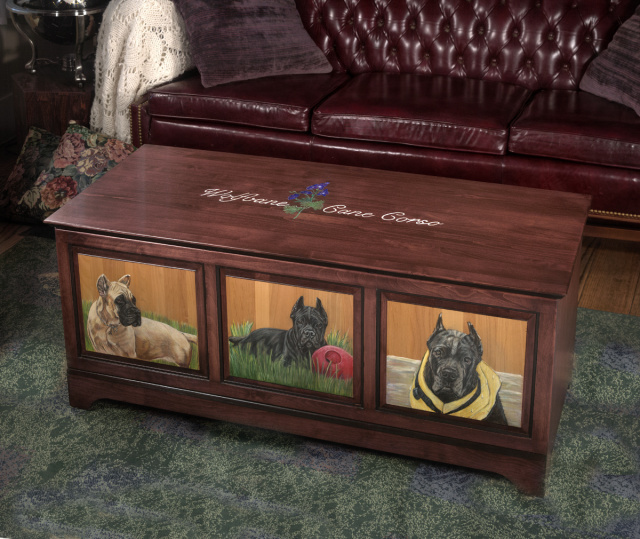 Create a true family heirloom with the northwood storage bench. Designed with ample storage to hold a variety of items such as toys, blankets and clothes, this multi-purpose chest will be perfect for your home. Features include a reversible aromatic cedar/birch bottom. The lid support hinge provides added safety. 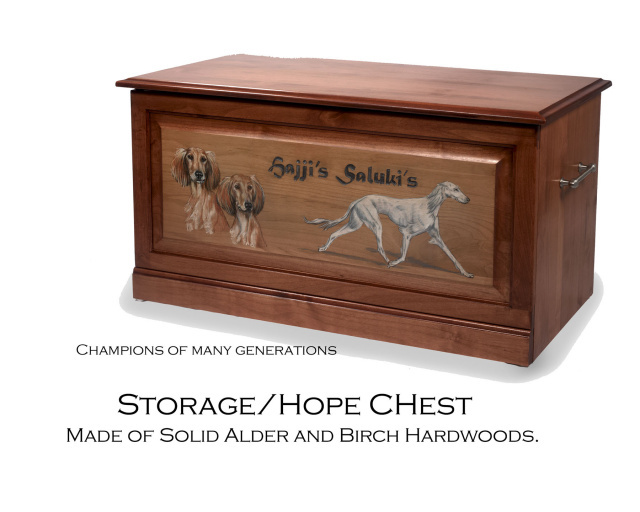 Durable construction ensures many years of use, while the alder and birch hardwoods contribute to lasting beauty. Made of Solid Alder and Birch Hardwoods.